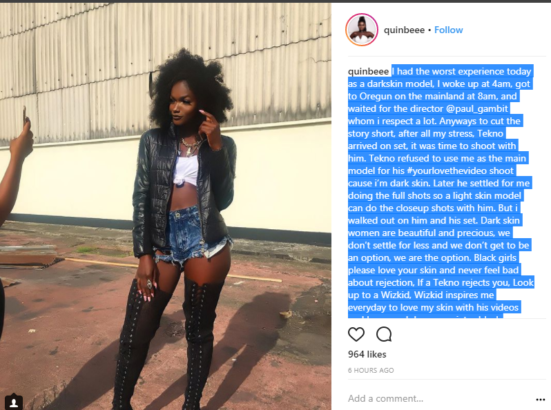 I had the worst experience today as a darkskin model, I woke up at 4am, got to Oregun on the mainland at 8am, and waited for the director @paul_gambitwhom i respect a lot. 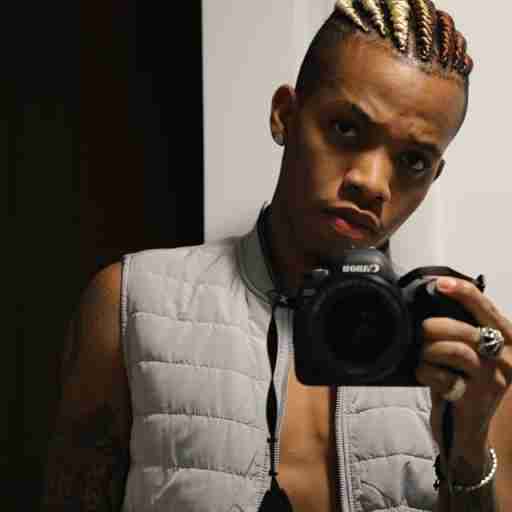 Anyways to cut the story short, after all my stress, Tekno arrived on set, it was time to shoot with him. Tekno refused to use me as the main model for his #yourlovethevideo shoot cause i’m dark skin.